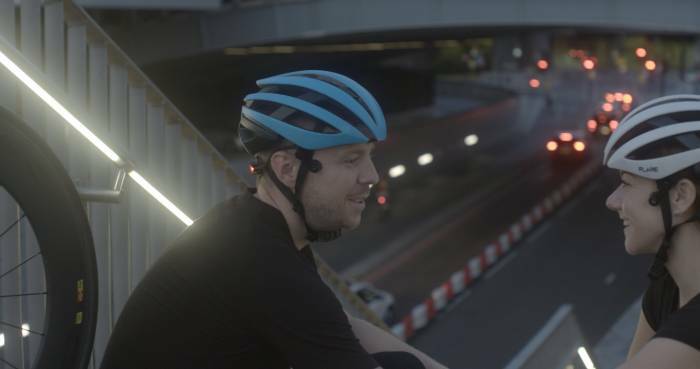 London-based Flare hopes to set the bike world on fire with its eponymously named smart helmet. Packed with enhanced electronics, it promises to improve safety by reducing rider distractions and increasing visibility. In the last two years, smart helmets have gained popularity. Current offerings include integrated cameras, rider-to-rider communications, heart rate monitors, turn indicators, and accelerometers to detect sudden impacts and subsequently call for help. As product engineers work to make bike helmets safer and more feature-rich, some may have jumped the shark. How much tech do you really need in a protective foam hat? 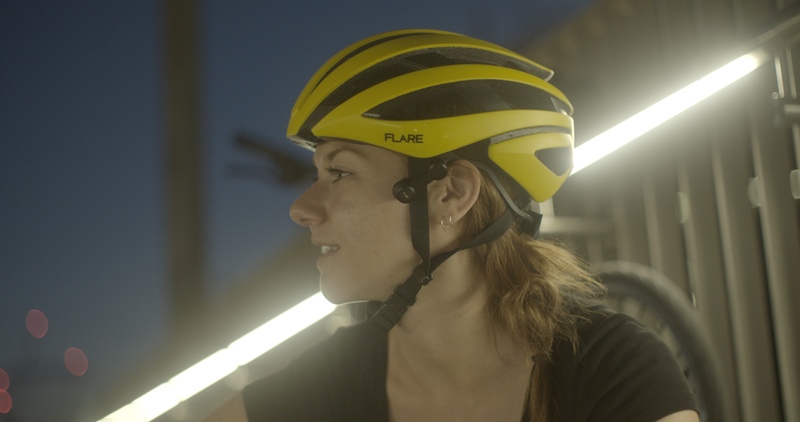 The Flare smart helmet skips the frivolous add-ons and only offers features most riders currently use. 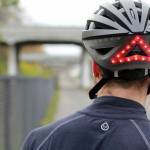 Flashing LED lights are a cycling staple. And despite safety pundits suggesting we shouldn’t, many of us still ride with earbuds. The Flash integrates both into a stylish and functional lid. On the surface, there isn’t anything too special about the built-in LEDs. Bell offered a helmet with similar lights several years ago. But the Flare’s flashers are intelligent. Sensors detect low light and kick the lights on ensuring passing motorists see you in the traffic lane. The wide arrow-shaped pattern helps boost visibility. 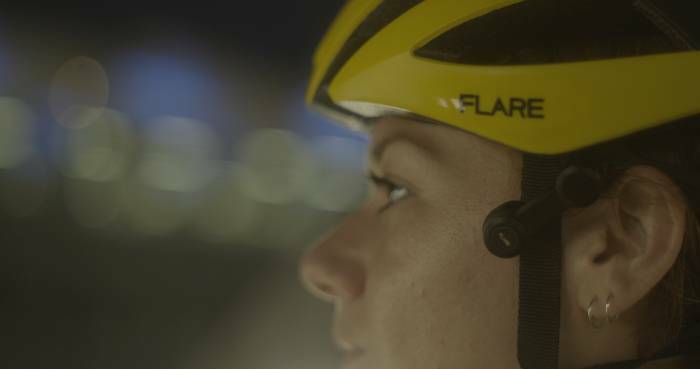 Lights are cool, but it’s the Flare’s bone-conduction audio system that’s most interesting. Located on either side near the rider’s temples, two small speakers pipe coded vibrations to the inner ear through the cheekbones. Bone-conduction sound systems are nothing new: Hearing aids have used the technology for over 40 years. Adopted by the military for combat communications, they slowly worked their way into sporting applications. By transmitting vibrations directly to the cochlea, the ear canal remains unobstructed to hear ambient sounds. 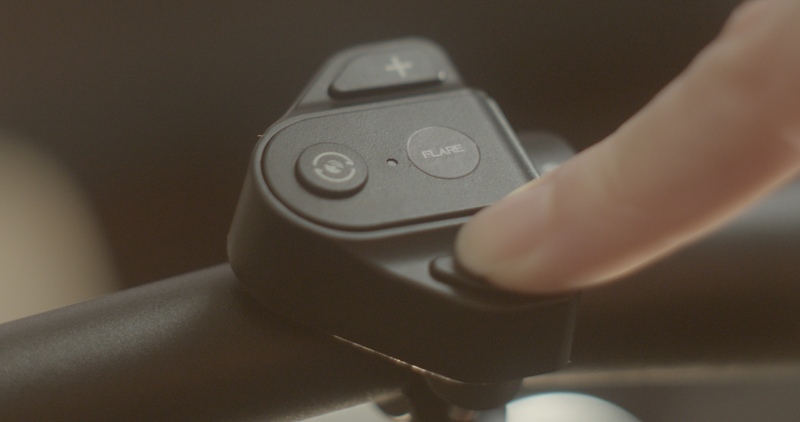 This enables cyclists to listen to music and turn-by-turn directions while still talking to fellow riders and hearing traffic. Flare’s features communicate via Bluetooth to a dedicated mobile app. Compatible with iOS and Android systems, the app controls volume and settings as well as includes functions for recording ride data and connecting with others in your riding network. And because most of us don’t want to mount our expensive phones to the handlebars, the Flare includes a wireless handlebar remote to adjust volume, mute sound, and toggle through functions. Also adding to the system’s utility, the Flare’s internal battery holds a charge for 10 hours. That’s enough power to squeeze in a few rides between 90-minute charges. When smart helmets first hit the scene, most looked awkward and chunky. 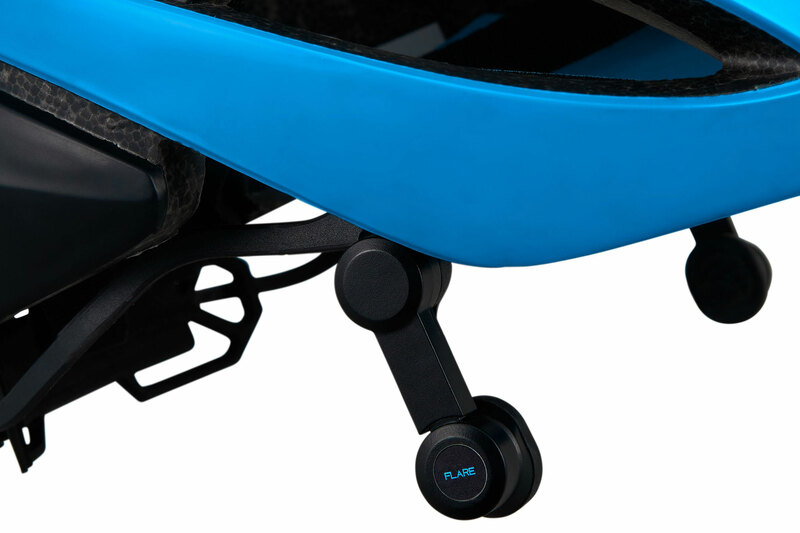 The Flare’s contemporary styling belies the tech within and looks like a proper cycling helmet. Air passes through 19 vents and the 300-g weight puts it in the range of a traditional, non-smart cycling helmet. It’s available in white and blue, but the Flare comes in just one size. So that may weed out some buyers on the ends of the fit spectrum. 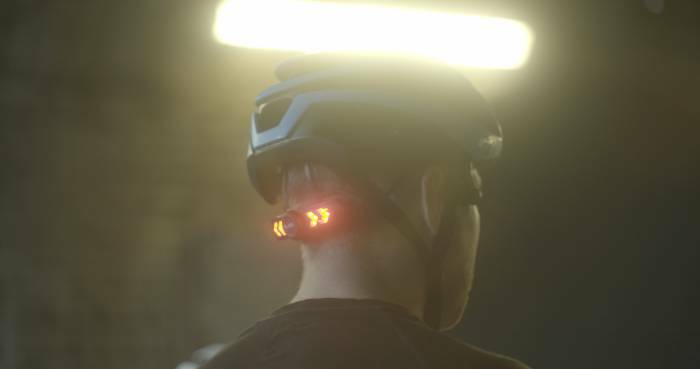 If previous smart helmets looked too cyborg to suit your fancy, the Flare might be the product you have been looking for. And it’s a surprisingly good value, available now for $130 on preorder. The first helmets begin shipping in January 2019.